Today is the fourth day of the pattern tour for the Juliette dress + top. You can purchase the Juliette dress + top pattern HERE. Don't forget to use the coupon code: DRESSEDINSEWPONY to receive 10% off any sewpony pattern and enter my sewing contest HERE! Today let me introduce Marta, Courtney,Olga and Emi! Marta (above) from DoGuincho and I have been friends for quite a few years now. She is a lovely lady and lives in Portugal with her husband and two gorgeous daughters - Teresa and Ines. Marta is an architect, wind surfer and sewer!!!! 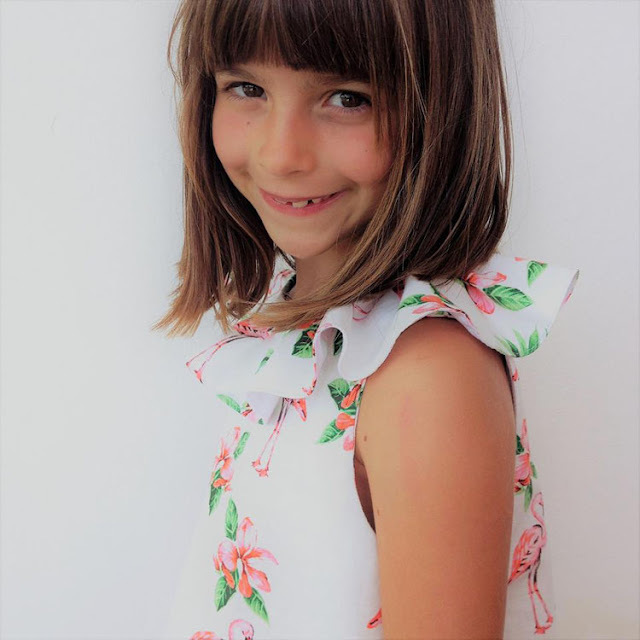 Today she made her younger daughter Ines a stunning Juliette dress! I was very excited to see this beautiful white floral beauty! Head over to DoGuincho to see more! Thank you Marta! Courtney sews and blogs at Sweeter than Cupcakes. 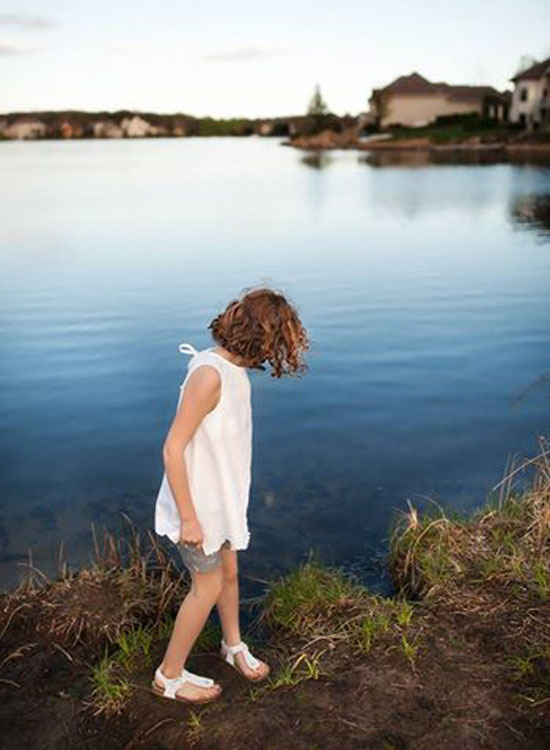 Courtney lives in the US with her husband and two daughters whom she loves to sew for!! I am a fairly new follower of Courtney's and mostly follow her over on IG. 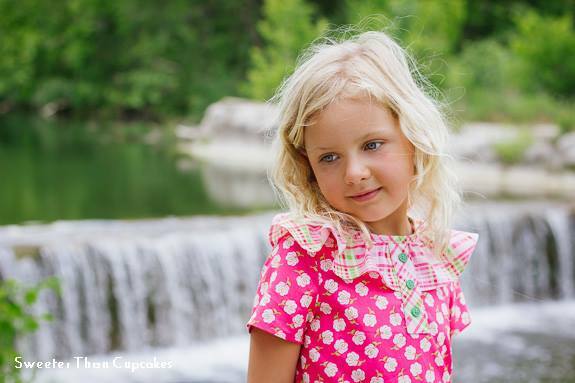 Courtney sews lovely, bright clothing for her sweet daughters. I love this pink dress she made her younger daughter - pink, but not over the top pink! Head over to Sweeter than Cupcakes to see more!! Thank you Courtney! I have known Olga from Coffee + Thread for a long time too now! Olga's blog and photography has come along such a long way since she first appeared in the blogosphere!! She is now also producing lovely PDF patterns. I have sewn up three of them - the Mulberry tunic, The Antalya dress (three times - one not seen here) and the Ila dress. She has also just released a gorgeous cardigan pattern - the Geneva cardigan if you are looking for a good pattern for a cardi! Olga has sewn up a lovely Juliette top without the frill...head over to Coffee + Thread to see more! Thank you Olga! I first 'met' Emi, from Just Add Fabric, when she signed up to test my Miss Polly Dress. Emi is a fabulous sewer and is also kind and funny! I love reading her posts and Jill and I were really excited to have her on board to sew up a Juliette! Emi lives in Japan and sews for her two sweet daughters and also sews lovely things for herself. If you don't follow Emi yet, you need to to! On IG she is under her own name...you can find her here. 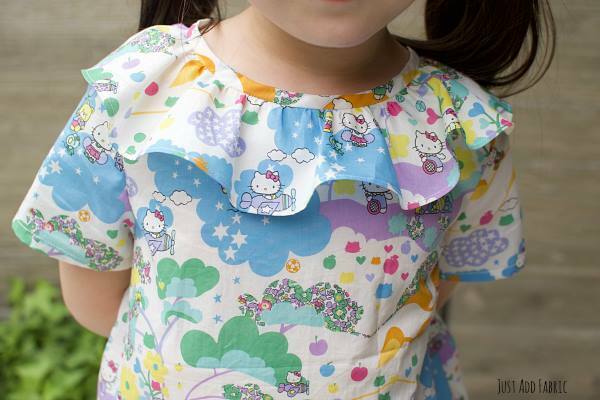 Head over to Just Add Fabric to see some more of this sweet Hello Kitty creation!! Thank you Emi! Make sure to come back tomorrow to see more talented ladies sharing their Juliettes! And have you discovered the free collar for the Juliette pattern? I published a few days ago...you can read all about it here.